Budget Icelandic airline WOW air has announced a new seasonal route from the UK to Orlando, Florida, starting in December 2018, with introductory one-way fares starting at £129.99. The inaugural flight to Orlando International Airport (MCO) will depart on 18 December 2018, with flights departing from London Gatwick and Edinburgh via Reykjavik. Flights will operate three times per week, with the transatlantic leg of the journey serviced by the airline’s ultra-efficient A321neo aircraft. One of the world’s most visited tourist destinations, Orlando is well known as the theme park capital of the world – home to Walt Disney World Resort, Disney’s Hollywood Studios, Universal Orlando Resort, SeaWorld Orlando, LEGOLAND Florida and Busch Gardens Tampa Bay. But the destination caters for more than just thrill-seekers, with year-round sunny weather, award-winning beaches, world-class shopping, exciting nightlife and diverse range of outdoor adventure activities. 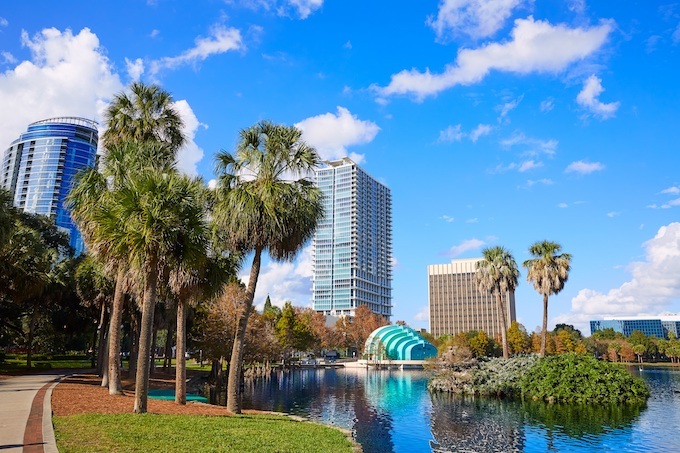 Orlando and the state of Florida make for an inspiring destination for travellers of all kinds, from families and friends, to couples and solo holidaymakers. Skúli Mogensen, founder and CEO of WOW air, said: “We’re thrilled to be adding Orlando to our ever-expanding route network and hope this will mean more budget-conscious travellers will soon be able to experience not only what the city of Orlando has to offer but also the wider Florida State. As our 16th destination in North America, this is an important marker of our continual mission to push the price point to fly across the Atlantic as low as possible. “As well as being a destination traditionally popular with British families seeking a getaway during the chilly winter months, we’re equally excited to welcome business travellers on board to experience our new WOW Premium offering. With flights departing from London Gatwick and Edinburgh, passengers will be able to connect with the Orlando service in Reykjavik, which will operate three times per week. The total flight time from KEF-MCO will be 8 hours 25 minutes. The approximate total journey time from London Gatwick and Edinburgh will be just short of 14 hours, including stopover.